Blue Ridge Preservation Inc. understands that your medical information is personal and confidential. This is a notice of our privacy practices. The policies in this Notice will be followed by all Blue Ridge Preservation Inc. employees, staff, and volunteers. We understand that medical information about you is important and personal, and we are committed to protecting your privacy. All information you provide to us is considered personal and confidential. Keep medical information about you private, as provided by law. Provide, or make available, as applicable, this Notice of our legal duties and privacy practices with respect to medical information about you. Follow the terms and requirements of this Notice. The medical information questionnaire is used for the purpose of health screening to determine if any health condition might be exacerbated by any of the techniques taught by Blue Ridge Preservation Inc. It may also be used in case of medical emergency, whereupon we may disclose medical information about you to medical personnel directly involved with your care. Blue Ridge Preservation Inc. is committed to teaching simple and effective techniques for eliminating stress, resolving conflict, and improving health. However, we are not medical professionals or specialists. Therefore, the medical information we collect from you is supplementary to determining how our courses can create the best benefit for you. If you have any health questions and/or preexisting conditions, please consult your physician prior to participating in any course. By selecting “yes,” you acknowledge that you have carefully read and understand this Notice. Further, you agree that Blue Ridge Preservation Inc., and their teachers, employees, staff, and volunteers are not liable or responsible for your medical condition(s) and care. I (Parent/Guardian) understand that the techniques and processes taught during the Blue Ridge Preservation Inc. / International Association for Human Values Youth Programs are specialized techniques and processes taught only by trained YES! teachers. I understand that all processes/techniques are taught to my child in confidence, I will ensure that my child uses the processes taught during Youth Programs are solely for her/his own benefit and will not teach the techniques and processes to any other person. I (Parent/Guardian) give permission for my child to participate in the Youth Programs conducted by an Art of Living teacher at the Venue and Dates specified above. I have been given a description of the activities that will be part of the program and permit my child to participate in all these activities. My child agrees to all the rules and regulations of the Course/activities at all times. I understand that the Blue Ridge Preservation/Art of Living Foundation/International Association for Human Values, its teachers, volunteers, trustees and/or directors will not be liable if my child fails to cooperate and/or fails to abide by the rules and regulations. Serious infractions of rules and regulations may result in immediate dismissal of my child from the Course/activity. I will pay the expenses incurred as a result of the dismissal. I (Parent/Guardian) permit the transportation of my child in designated cars, vans or buses and/or public transportation to & from the Venue to and between the places where activities organized by the Blue Ridge Preservation/Art of Living Foundation/International Association for Human Values will take place. I relieve Blue Ridge Preservation/Art of Living Foundation/International Association for Human Values, its teachers, volunteers, trustees and/or directors of liability that may arise as a result of transportation of my child. Should my child’s medical condition become a concern because of injury or illness, then I (Parent/Guardian) permit my child to be evaluated, diagnosed, treated, and/or given medication in accordance with standard medical practice by licensed medical personnel. Further, I agree to accept financial responsibility for medical treatment. I relieve the Blue Ridge Preservation/Art of Living Foundation/International Association for Human Values, its teachers, volunteers, trustees and/or directors from liability for any injury that might occur during the course of or as a result of participation in the Youth Programs. I (Parent/Guardian) understand that the techniques and processes taught during the Blue Ridge Preservation/Art of Living Foundation/International Association for Human Values’s Youth Programs are specialized techniques and processes taught only by trained Art of Living teachers. I understand that all processes/techniques are taught to my child in confidence, I will ensure that my child uses the processes taught during the Blue Ridge Preservation/Art of Living Foundation/International Association for Human Values’s Youth Programs solely for his/her own benefit and will not teach the techniques and processes to any other person. I give Blue Ridge Preservation/Art of Living Foundation/International Association for Human Values the right to use my child’s performance, image, name, voice, writings, and likeness for all non-commercial written, audio and/or visual presentations. I understand and acknowledge that the written, audio and/or video presentations may be used in brochures, videos and on websites for promoting and advancing further trainings or courses. First Offense or “Warning”: Participants failing to adhere to program rules, or exhibiting behavior clearly intended to annoy or endanger other participants, will be privately and formally warned by a program facilitator and informed that subsequent misbehavior will result in formal counseling by the Program Director. Second Offense: Subsequent misconduct will result in counseling by the Program Director and a warning that further misconduct will result in removal from program. At this point, the Program Director will contact the parent or guardian to advise him/her of the situation and the possible need for picking the participant up from the program if there is further misconduct. Third Offense: Any further inappropriate behavior will result in counseling by the Program Director and expulsion from program. 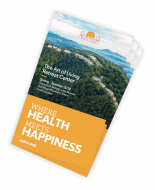 NOTE: BLUE RIDGE PRESERVATION/ART OF LIVING FOUNDATION/INTERNATIONAL ASSOCIATION FOR HUMAN VALUES’S YOUTH PROGRAMS EXPECTS EACH PARTICIPANT TO HAVE A SUCCESSFUL EXPERIENCE. ANY OF THE STEPS OUTLINED ABOVE MAY BE OMITTED OR REPEATED AT THE DISCRETION OF STAFF. PARTICIPANTS DISMISSED FROM THE TRAINING FOR DISCIPLINARY REASONS WILL NOT RECEIVE A REFUND OF ANY FEES PAID TO ATTEND THE TRAINING. It should be understood this procedure is intended to provide a reasonable and consistent method for dealing with the type of behavior that can be disruptive to a course, but is not so egregious as to warrant immediate dismissal. It in no way precludes immediate dismissal from the program for more serious disciplinary problems or violations of program or program regulations. A serious disciplinary problem is defined as one in which the program staff determines that a participant is engaging in inappropriate behavior that includes, but is not limited to the following: actions which put the participants, other participants, or program staff member’s safety in jeopardy; inflicting physical or emotional harm on self or others, vandalism or destruction of property; theft of property or the property of another participant; consistently disrupting the program; possession of alcohol, drugs, or weapons; fighting; sexual harassment; or behavior that is serious enough to warrant a third offense. I/we understand the disciplinary procedures described above. I/we understand failure to demonstrate proper conduct during the program may result in early dismissal from the program without any refund of fees paid to attend. We pledge to abide by all program rules and to exercise good behavior and proper respect for others.